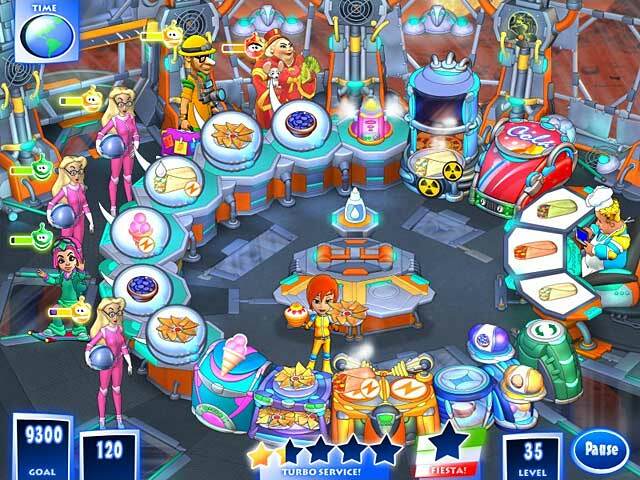 Third in the hugely popular Turbo series, Turbo Fiesta is what happens when south of the border cuisine takes on an interplanetary trajectory. 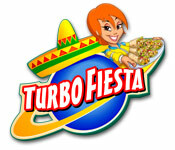 An astronomical and gastronomical adventure, Turbo Fiesta is truly out of this world! Rebecca and Robert are taking their fast food empire to totally new heights. Serve interplanetary customers in spectacular, far-out locations and watch your fast food empire skyrocket. Turbo Fiesta is rated 4.2 out of 5 by 14. Rated 5 out of 5 by Martysgirl26 from Fun Game I found this game to be fun and fairly easy. I enjoy all the turbo games. Rated 5 out of 5 by flemshell from Great! I have played all of the games in this series and they are all FANTASTIC!! Rated 5 out of 5 by tbirdclass from Love this game I love all of the Turbo games but I wish there were more levels. Please come out with more....and more levels. Rated 5 out of 5 by Patt_Mlhailoff from Turbo Fun I find that I only download the very best Time Management games. These are among my favorites and all of the turbo games are exceptional. 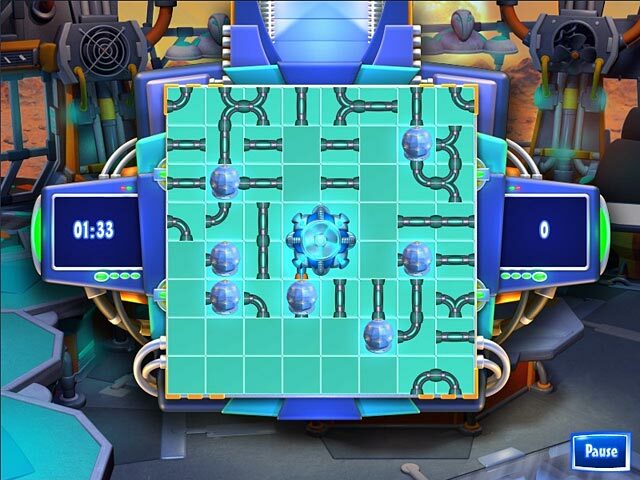 Turbo Fiesta is a fast paced, wonderfully executed graphical romp that tests your speed and hand /eye coordiation. I hope they keep thinking up more of these types. Rated 5 out of 5 by Pucktweety from Brilliant, as always! 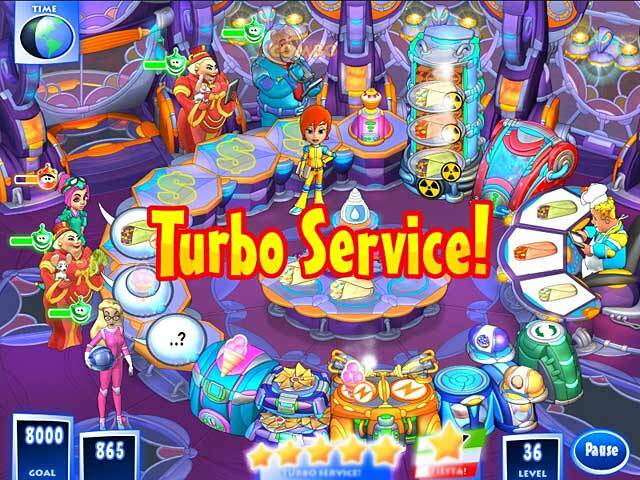 Like the other 'Turbo' games this offers a very challenging and fun time management game which lets you use skills used in the other 'Turbo' games but in an exciting new environment with great graphics and fun characters! Rated 5 out of 5 by hez2011 from If You Like Time Management You Will Love This! This game is awesome. Amazing visual quality, stayed challenging but not impossible. I think this is the best game in the series. I finished it quickly, I couldn't put it down. If you are a TM fan this is a high quality game that you can't miss! Rated 5 out of 5 by Spike2012 from ...Amazing... fantastic i reccomed this game to all children. A stroke of Magic! Rated 3 out of 5 by PurpleHoney from It was good... It is a fun game, but it's not that challenging. It seemed to end way to soon and the upgrades were to easy to get. I ended up being bored and forcing myself to complete the game. It's not worth buying. Serve interplanetary customers in spectacular, far-out locations and watch your fast food empire skyrocket.